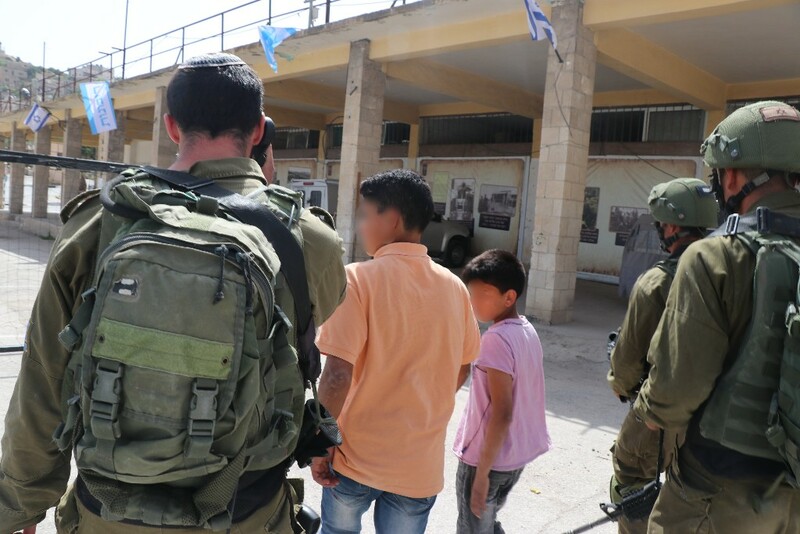 Christian Peacemaker Team, Hebron, April 24, 2018 – A 13 year old child came home after a day at school, and was met by Israeli soldiers at his home. The soldiers claimed he had thrown rocks and that he would be arrested. The boys parents were not home, though his 9 year old brother was with him. The soldiers took the 13 year old to the military base and the police station without his parents, and his 9 year old brother refused to leave his side. The boy was kept for 7 hours, and interrogated three times for an accusation without evidence. Under Israeli court system, run by an occupying nation state that holds a 99% conviction rate against the Palestinian people, the child, if charged, faces a penalty of up to 20 years in Israeli military prison. 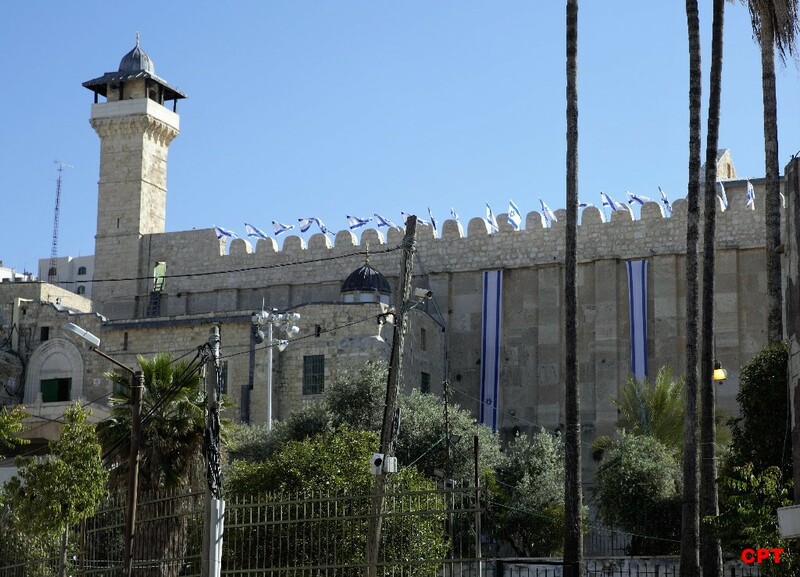 During Pesach additional Israeli flags appeared around al-Khalil, including all across the top of Ibrahimi Mosque/Tomb of the Patriarchs. Despite the holiday ending, the flags remain as a vivid reminder that little by little, Israeli forces and settlers are appropriating more space. The Tomb of the Patriarchs, as the burial site of Abraham, is an important religious site for Muslims, Jews, and Christians alike.